Why would a shelf potato this cozy want to race out the door? For years, a blanket with sleeves called the Slanket sat on shelves. And it wasn’t alone as Gizmodo tells us. These blankets with sleeves sold okay. And when you read reviews by people who owned them, they liked them. But they never sold in the volume that the Snuggie has. 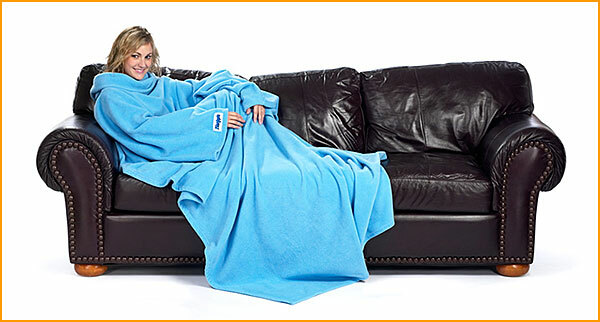 So what turned Snuggie into a super-hit? Communication. Literature about crossing the chasm in technology is filled with reasons products should have been re-engineered, re-thought, or simply never attempted. But this literature rarely mentions communication. Too bad. Because in my experience, communication may be the single biggest reason for failing to make the jump. Take DirecTV. I had the good fortune to do some strategic work early in DirecTV’s lifecycle. Their initial marketing was all about technology. Digital picture quality and 250 channels dominated the discussion. Ben Smith, co-author of the RetailLeverage.com blog, is going to be commenting on the topic of Shelf Potatoes. Ben has a superb background dealing with the retail channel from the manufacturer side. He has also been deeply involved with creating advertising to solve retail problems.